Porch and deck lighting… light ’em up! Most folks are embracing the age-old concept of ‘getting back to basics’ and enjoying a more simplified lifestyle. ‘Staying in’ with family and close friends to relax, entertain and recharge has become the current trend. And because of this, outdoor living spaces as home improvement projects have risen-to-the-top of every St. Louis homeowner’s wish list. Simply put… there’s plenty of unused living area, just outside your own backdoor, to make staying-in comfortable, enjoyable and fun. 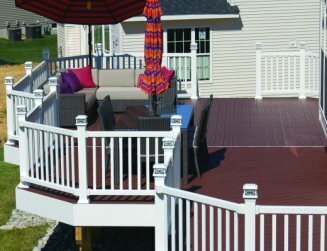 With a little help from a reputable contractor, like Archadeck, your backyard can be transformed and become a pleasantly pleasing place for enjoying a night in. 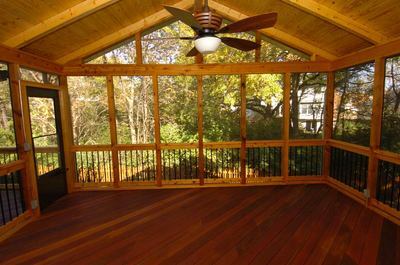 Decks, screened porches, under deck rooms, patio enclosures and gazebos are all great ways to add valuable square footage to your home, at a fraction of the cost of a room addition. For this reason, outdoor spaces are becoming as important as living rooms, family rooms and kitchens as a favorite gathering spot. And lighting has become an essential element to extend the use of your outdoor space into evening hours. 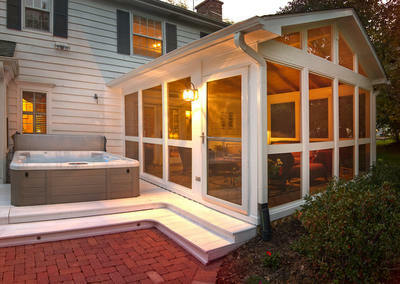 With proper design and building techniques, adding deck, porch or gazebo lights is a breeze. We offer an assortment of lighting designs, colors, shapes and light sources, including solar. 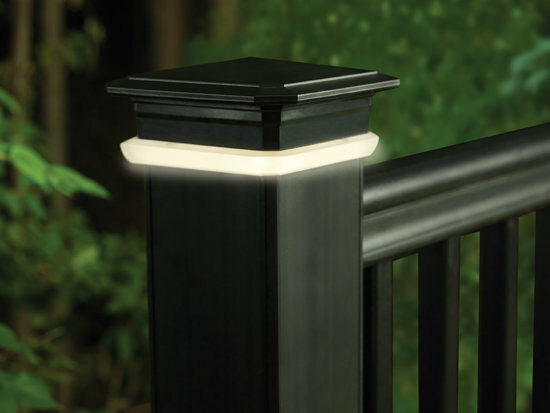 Outdoor lights can have a bright or a subtle glow for accent, rail or ceiling lights as well as safety lights to illuminate stairs and step risers. Deck and porch lighting feels intimate and cozy while adding safety and ambiance… so, ‘light ’em up’ for a beautiful outdoor space. To see pictures of our completed projects throughout the Greater St. Louis area, just visit our local website, west-county.archadeck.com. Archadeck serves the entire St. Louis territory including St. Charles and St. Charles County and parts of Illinois too.